Be spoilt with limitless creative choices with our vast array of textured papers. Available in a remarkable range of colors to make a bold statement. Get creative with super luxe business cards that gets the ‘oohs and ahhs’ going! Nail that important first impression and entice senses of sight and touch with truly unique business cards. Here at Inktank, attention to detail is at the heart of everything we do, from design all the way to final finishing touches. 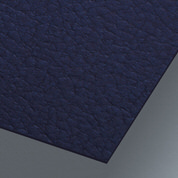 Our team spent the last decade scoping out all corners of the globe for the most unique and elegantly captivating textured papers, so you get the best the world has to offer. 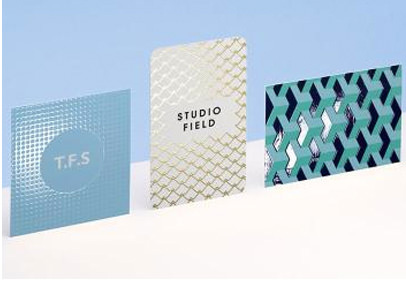 From lightly raised, linen, ribbed or suede paper types to organically textured exotic wild and snake skin-inspired patterns, we have something that will ensure your brand and business stands out from the rest. 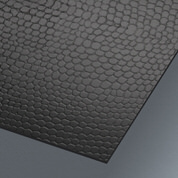 Naturally textured with leather inspired patterns, uncoated and raw paper in fibre. Available in vast range of color choices. This type of rich and lush textured business cards goes perfectly with lustrous foiling or add more depth and texture with captivating embossing. Lush Leather / Stock: 19 PT / Size: 3.5 x 2 in. Tell your story in style with this stock, delicately laced with raised lines. Naturally soft, cotton-like stock that spells effortless prestige. Perfect for deep impress finishes such as letterpress, deboss and foil stamping. Ribbed / Stock: 19 PT / Size: 3.5 x 2 in. Crisp and deeply textured stock allowing for a unique and subtle pattern in the colored stock. This premium stock was handpicked by Inktank and imported from Germany. The stock is available in 7 professional colors and is 300GSM (14PT) in thickness. We recommend pairing this stock with raised ink and a laser cut logo. Ridge / Stock: 14 PT / Size: 3.5 x 2 in. Grace your hands on this velvety soft suede stock and you won’t want to put it down. Available in tan or white colors, this is stock is a real classic. The 350GSM (16PT) stock is environmentally responsible being proudly made up of 40% recycled materials. This elegant stock goes beautifully with embossing and foiling. Suede / Stock: 16 PT / Size: 3.5 x 2 in. This heavy textured stock works as an effortless base for you to create your next masterpiece. With an impressive 330GSM (25PT) up to 530GSM (36PT) thickness, you can get creative with special finishes. Add deep impressions with vintage letterpress methods and color with premium foil stamping. Natural Fibre / Stock: 25 PT / Size: 3.5 x 2 in. 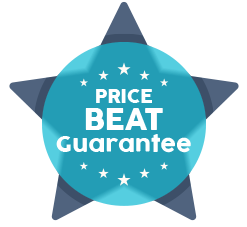 If you find a lower price will beat it by 5%. This impressively luxe and thick stock oozes sophisticated elegance. 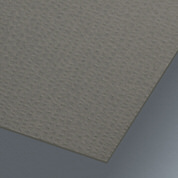 The textured cotton stock comes in the ultra-thickness of 400GSM (28PT). This stock comes to life beautifully with vintage letterpress and hot foiling. Available in classic white or cream. Vintage Cotton / Stock: 28 PT / Size: 3.5 x 2 in. 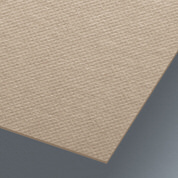 This stock is a classic if you are looking for unbleached, raw and earthy kraft paper. The natural themed stock has subtle fine ribbed lines in the texture and comes in a heavy 600GSM (38PT) thickness. 300GSTM (19PT) is also available for a lighter finish. Emphasis texture and dimensions by adding letterpress to this stock. Ribbed Kraft / Stock: 19 PT / Size: 3.5 x 2 in. One of our top picks for custom textured stocks. The shimmery gloss leather texture provides a high-end feel and can be bonded with a backing of your own weight card and color choice. Dress your logo up on this stock with a dash of foil from one of our 40 plus color choices. 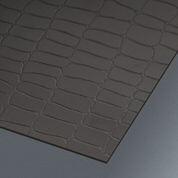 Everyone is going wild over this glossy exotic leather textured stock. 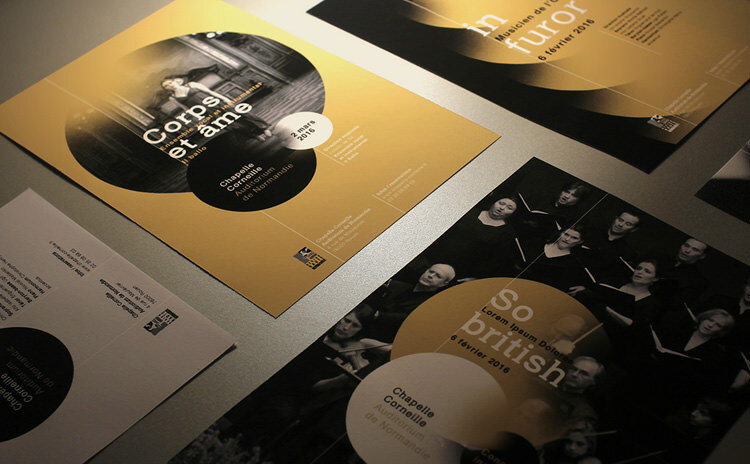 This 530GSM (20PT) stock is sure to capture the attention and admiration of your clients. Match this textured stock with custom foil stamping, including the popular gold and rose gold foil colors. Sky is the limit when bonding two or three layers of any textured stocks to a backing card of your choice. Full customizable textures, card weight and colors. Use bonding to play with textures and colors, you can even laser cut the top laser to reveal your logo beneath the surface for an impressive, creative and dimensional finish.